Nonwovens for hygiene products and wipes substrates in the North, materials for transportation, filtration and construction in the South: In early May, there will indeed be a Sandler nonwoven for every application on display in the US! At the IDEA Show in Boston, MA, (3.- 5. 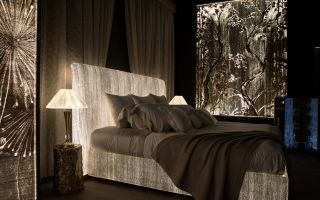 May) the German nonwovens manufacturer invites visitors to a mini-break at the Sandler Garden and Mansion. In a homely garden, sample collections showing Sandler’s wide product range allow visitors to feel the difference—established product qualities as well as latest developments. Nonwoven wipes substrates for various applications and materials for hygiene products will be at the centre of attention, among them nonwoven innovations that take account of sustainability. „Wipes unlimited“ is Sandler’s motto when it comes to the company’s wipes substrates for babycare, cosmetics as well as industrial and household cleaning. Print and embossing designs, but also special fibre blends and the use of sustainable raw materials from natural sources offer numerous opportunities for product differentiation. Sandler’s latest substrates combine improved tensile strength in machine and cross direction with higher product thickness—added value for both cleaning efficiency and care. Coloured variants additionally enhance this product series, providing for visually matching the wipes substrates to different areas of application. 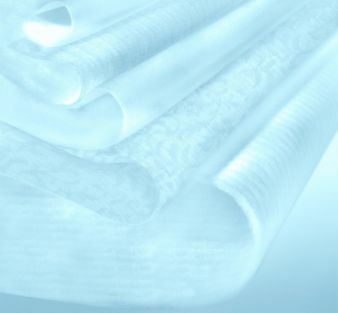 In the Sandler Garden, new developments for hygiene products also await the professional audience: Even softer nonwovens for fluid handling layers along with extraordinarily soft and bulky top- and backsheet materials increase the comfort in use while also offering optimised fluid management. 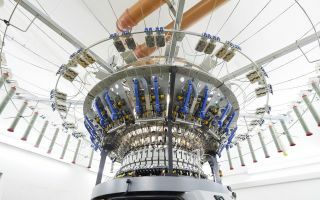 A new generation of nonwovens for elastic closure systems combines improved extensibility and high stability during processing. Both are achieved at even lower basis weights, thus conserving valuable resources. New nonwovens for topsheets feature a silky or cotton-like feel for more comfort in use. For this application, Sandler also presents sustainable product variants that are biodegradable owing to the fibres used. Embossed motifs also offer product differentiation, adding that certain something recognisable at first sight. Sandler will present a further highlight with a new embossing design, especially suited for cover materials for elastic applications. This new nonwoven offers an additional asset for your product—not only from a visual point of view. At the German pavilion at the Techtextil North America (3.-5. May), Sandler will be putting special emphasis on nonwovens for technical applications. From acoustic absorbers and seat upholstery for the transportation industry, to energy-efficient synthetic filter media, to durable insulation materials for construction and technical insulation—these textiles bring comfort to every application.